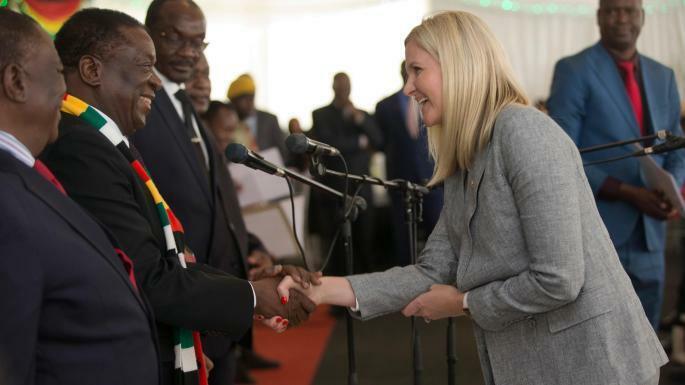 Supporting calls for Kirsty Coventry to resign, lawyer and former government minister David Coltart, said today that Coventry should resign as she risks being culpable of ongoing government violence against Zimbabweans. Coltart was responding to a conversation started by another prominent lawyer, Fadzai Mahare, who said she respected Coventry’s decision to stay on but questioned how she’d be able to dissociate herself from the liability of the conduct of a Government she’s part of. Rumour circulated last week that Coventry had resigned. However she said she would stay on and that she believed sports (which she’s a minister of) is part of the solution. A few people, such as 2018 presidential election candidate, Noah Manyika, called on Finance Minister Mthuli Ncube to resign too. No one should be surprised by what the Zimbabwean authorities are doing. This is who they really are and have always been. They won’t be changed by local or international goodwill. If Mthuli Ncube and Kirsty Coventry have any decency, they will resign now. The Zimbabwean security agents have gone on a campaign of retribution on Zimbabweans for protests on 14 January 2019. it has been reported that as many as 12 people have died from the violence on Zimbabweans, most of them men from high density surburbs in Harare.